Atlantic City is the entertainment capital of the Eastern Seaboard, and New Jersey’s most popular resort destination. 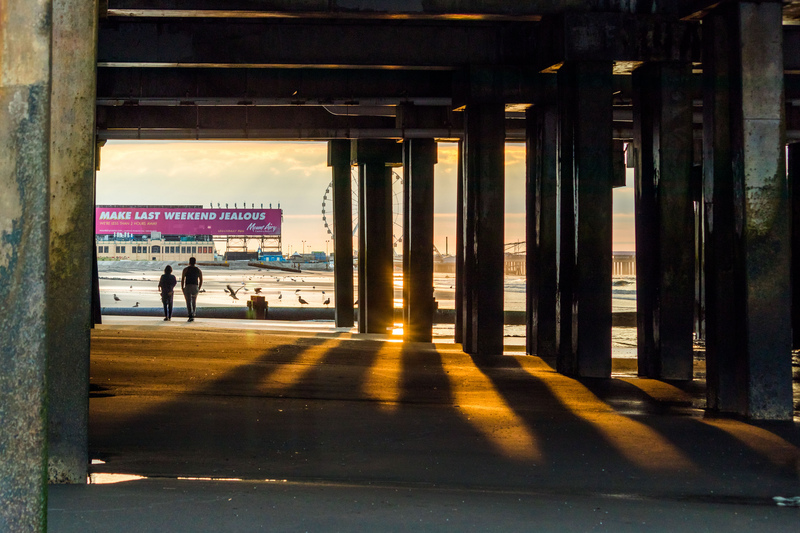 If you’ve played Monopoly, you’ll instantly recognize some of the streets, but fans of the famous board game aren’t the only ones who want to stroll along “Boardwalk” – the city’s beaches and its famous wooden walkway has attracted millions of visitors for more than a century. Many people visit for the casinos, which revitalized Atlantic City during the late 1970s after decades of decline. However, if you haven’t set foot on the beach, it’s fair to say you’re missing the whole point. Atlantic City is more than just a gaming haven; it’s a legendary resort town and the Vegas of the East. What was once a popular destination for commercial airlines, Atlantic City has been through some financial distress over the past decade, and seen its fair share of discontinued and/or canceled airline service due to lower passenger totals. Today, scheduled flights account for less than 20% of total aircraft operations. The airport stays busy, though, mostly thanks to Atlantic City maintaining its position as a popular hub for private jets and general aviation, especially helicopter charters traveling to/from New York, Philadelphia, Boston, Washington DC, and other major cities across the Northeast. Looking for the fastest, most comfortable way to reach your favorite casino and gaming resorts along the Atlantic City boardwalk? Charter a private plane from anywhere around the world with Atlantic City Jet Charter. Enjoy instant access to thousands of private planes, along with the most competitive charter rates in luxury and business aviation. Call us at (888) 987-5387 and request a FREE QUOTE today, and compare us to other quotes, your owner operated costs, or your jet card rates.